Today Creative Inspirations is very excited to introduce Lisa Greening, our very talented guest designer. 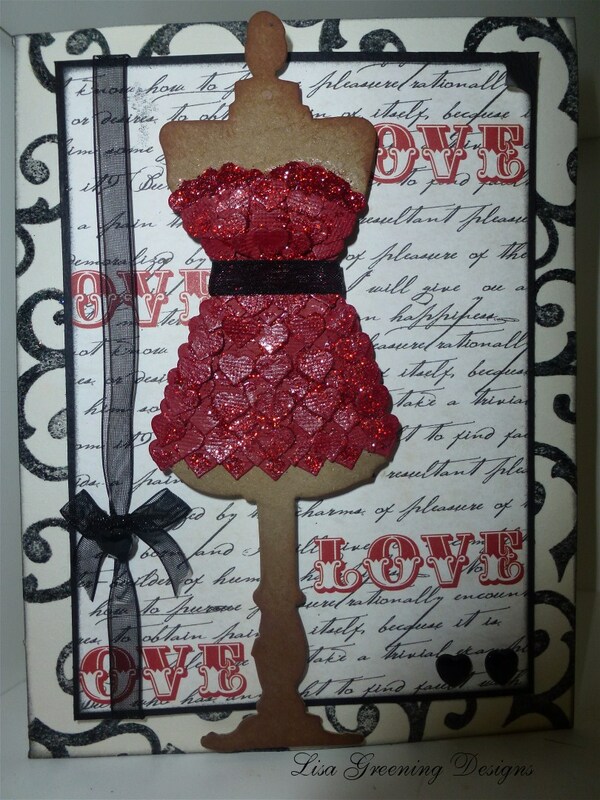 Her beautiful Valentine cards incorporate an array of stamping products and die cutting dies, which she has used in very clever and creative ways. Thank you Lisa for sharing your beautiful creations with us! Hopefully her cards will inspire you to send a little love! 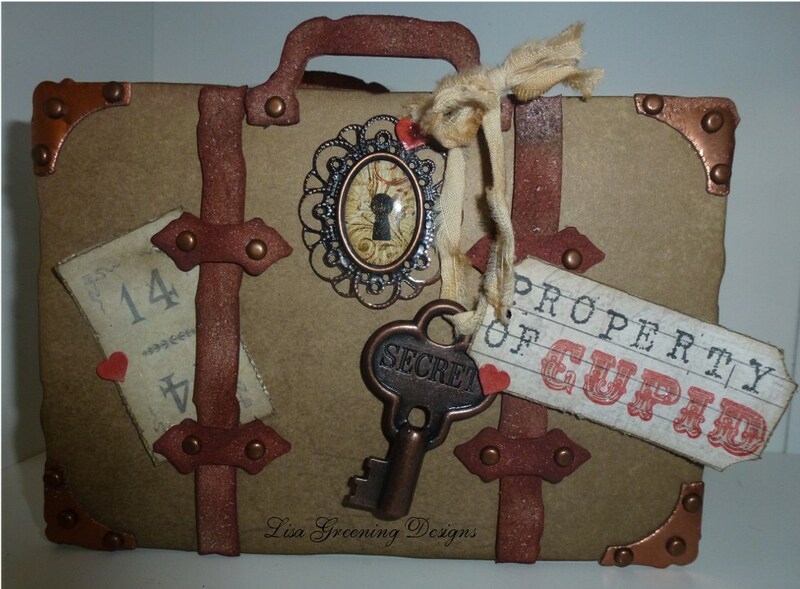 Beautiful way to use Tim’s Sewing Room Die! 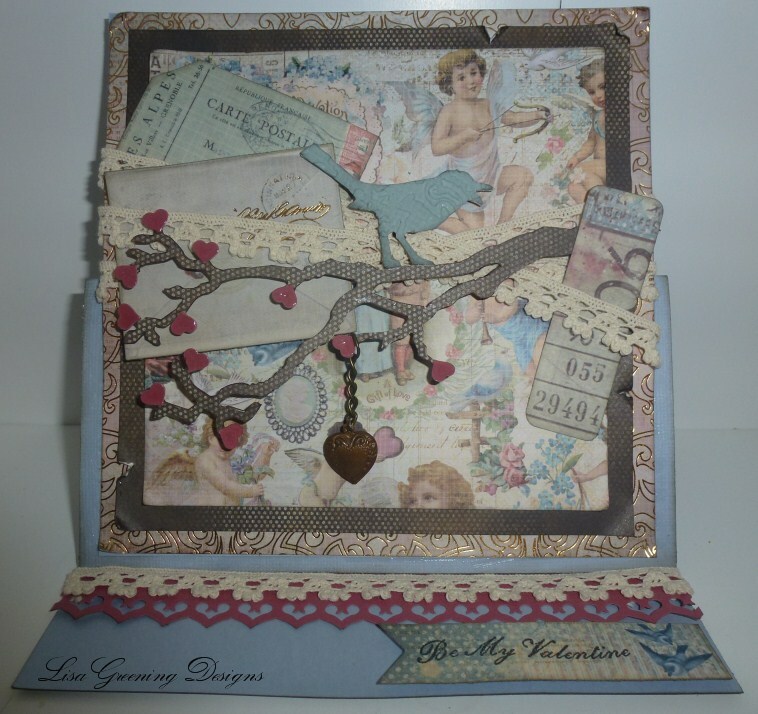 Lisa very cleverly created this Valentine card using Tim Holtz’s Vintage Valise Die along with Tim’s Crowded Attic Paper Stash, Grunge board, Festive Berries, Vintage Photo, Walnut and Black Soot Distress Ink pads. Lisa loves the die cuts!! 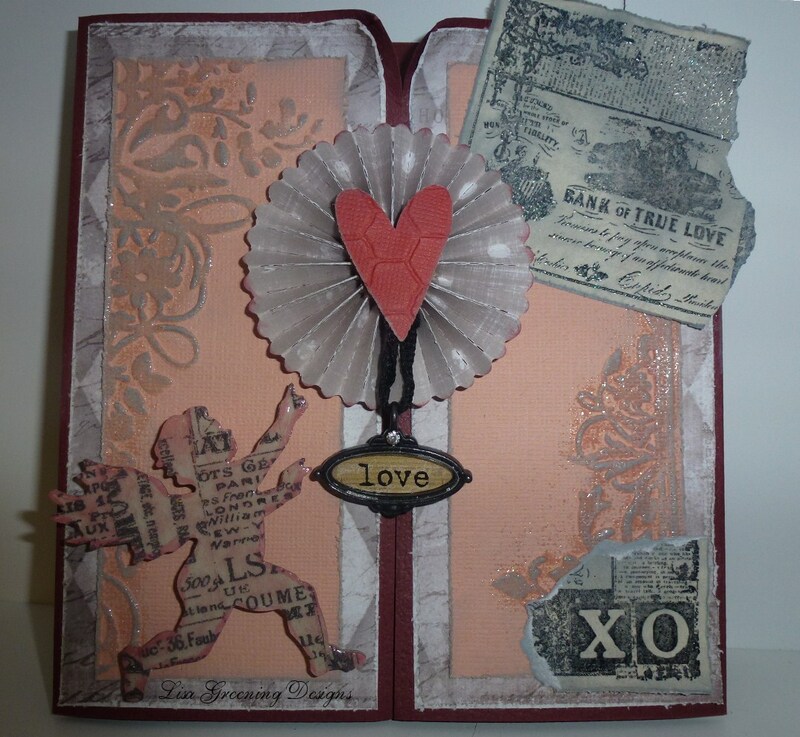 For this card she used Tim Holtz Dies Lovestruck, Heart and On the Edge Plaque and Postage. Lisa also used Tim Holtz Crowded Attic Paper Stash, Festive berries, Antique Linen and Walnut Distress Ink pads. 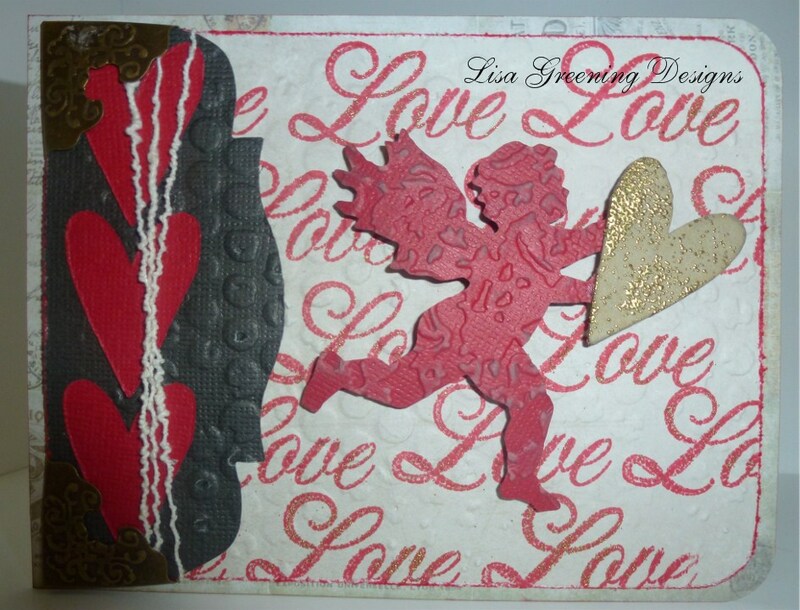 For The Bank of True Love card Lisa used Tim’s Cupid & Heart Movers and Shapers and Mini Rosette Die. We would like to thank Lisa for sharing her Valentine cards with us. Leave a Comment for Lisa and you could win a Valentine Gift Package. Winner will be chosen by random draw from all comments left. Lisa uses a lot of detail in her cards which is a feast for the eye. I love all things vintage and her cards do not disappoint. Very nice cards Lisa. A very nice use of a number of dies!